Aishah comes to work with Borderlands with experience as a flower farmer with her local business Patagonia Flower Farm that provides fresh cut flowers to Patagonia, Sonoita and Southern Arizona residents. Through her work with Borderlands, she is learning about native plant species and how to incorporate them in her cut flower bouquets to restoration activities reach a wider audience. 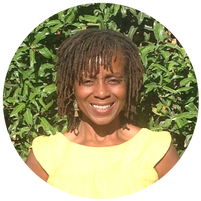 She is also a cross-fit superstar and former personal trainer, all of which helps her maintain the energy and enthusiasm she gives every project, from cleaning seeds and potting up plants, to seed collection, planting and beyond! Her passion for flowers is evident through the positive attitude and love she brings to Borderlands; she is a valued member of the horticulture team!